Dr. Robertson, Dr. White and Dr. McCain can fit you into a pair of lenses that are just right for you. Our doctors are experts in fitting contact lenses and can handle the most specialized needs. Keratoconus, prior RK and LASIK as well as distorted and deformed corneas are our expertise. Whether bifocal or single vision, rigid or soft lenses, we are experienced in handling the most difficult of prescriptions. There have been many advances made to soft and gas permeable contact lenses recently. Our office has the latest in contact lens technology. Whether you have astigmatism or just a standard prescription, we stock a wide range of diagnostic lenses to fit you and your needs. We have the new ACUVUE® OASYS® Brand featuring next generation HYDRACLEAR® PLUS Technology that can keep your eyes comfortable all day long – even in tough surroundings that can make eyes feel tired and dry. This lens has been approved for up to two weeks. We also offer the latest in colored contact lenses for dark and light eyes such as AIR OPTIX® COLORS contact lenses. They are the newest addition to the AIR OPTIX® family of breathable contact lenses that lets you focus on your life, not your contact lenses. They provide stunning eye color and outstanding comfort. And their monthly replacement schedule is easy to remember. For many years Dr. Robertson has been fitting patients that require specialty contact lenses. Dr. Robertson specializes in fitting many specialty lenses. 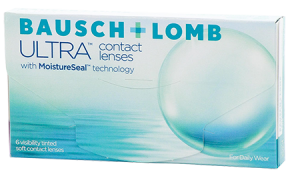 Amongst these contacts are SynergEyes Hybrid Contact Lens. SynergEyes lenses deliver the crisp vision of a rigid lens plus the all- day comfort of a soft lens. They have special designs for keratoconus as well as those whose previous LASIK or RK refractive surgery is no longer providing adequate vision. In For our keratoconus patients the Truform Quadracone lens design and soft/rigid piggy back combinations often provide just the right fit. For more information about keratoconus, try visiting the National Keratoconus Foundation web site. We also fit specialty contact lenses for patients who have extremely high astigmatism, irregular corneas, post refractive surgery cases and those desiring bifocal and trifocal contact lenses.